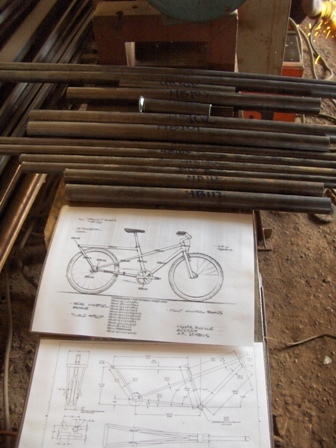 Since my return from Rwanda I have been dedicating all my time to working with the Bicycle Sponsorship Project Workshop (http://bspw.org) on developing Jason Morris’s cargo bicycle design. While the start up was a little hectic, we are now in full swing. I started by traveling to Kampala to gather the steel products and components we needed for the first round of production. While BSPW possesses a large supply of western bike components to be used for production, I had to buy a few of what is available here in Uganda for when production surpasses the available supplies at the office. I rounded up the supplies a needed and was glad to leave the overcrowded and dirty streets of Kampala. Needless to say, it was interesting fitting six, four meter steel tubing sections in a Ugandan mini-bus! A few jokes about the paradox of being a poor muzungu and needing to use public transportation to move my goods aided the spirit of my fellow riders. 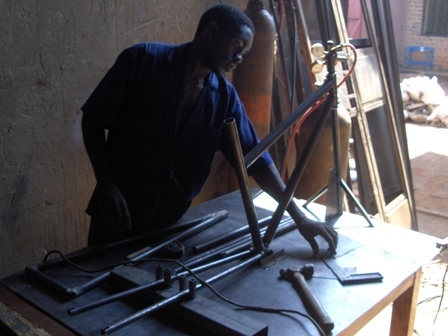 Once I had safely transported the goods to BSPW’s workshop in Jinja, it was time to start production. We started by cutting all the piping to length and checking that the bottom bracket and fork we were planning to use were compatible with the tube size. With the excitement of the new project, the fabrication staff and I dove head in to spot welding the pieces into formation. We quickly learned that haste was not the name of the game as we realized the need for accuracy and consistency in order to insure all the pieces fit together in the desired fashion, not to mention the thing is supposed to be able to ride in a strait line when it is complete! Today we took apart our crooked frame and started a brainstorm on how we could create a stand/mold for our frame to insure accuracy. I have to admit, when I woke up this morning I felt a pang of despair as I knew what we were going to try and achieve and what we had to work with. To my immense pleasure it only took about 1 hour of the fabrication team and I standing, staring, and scratching for us to come together in unison and create a stand for our frame. Our ingenuity flowed together and transcended varying technical knowledge and language barriers. Before lunch we had a solid stand and were all excited to tackle the frame next. I was taken back with the work after lunch. The team seemed overjoyed at the opportunity to use their knowledge of metal fabrication to achieve something other then the repetitive doors and windows they spend all the days working on. 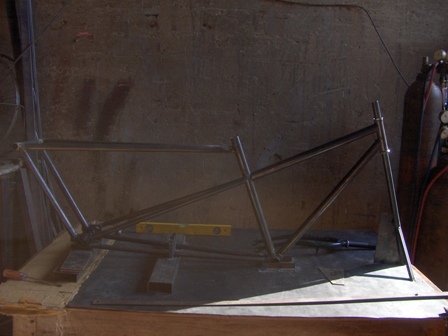 By the time we the sun was setting, we had a finish welded frame. Angles were correct, measurements were met, smiles were cracked. Following my program completion with FSD on May 23rd, I decided to take a vacation to Rwanda to see the country which has been so enchanting to me over the past few years. I traveled to Kigali to visit my friend Lama Mugabo, the director of a Canadian-Rwandan NGO who I meet over a year ago while I was in school at WWU in Washington. Lama is the director Building Bridges with Rwanda (www.bbrwanda.org) and has recently relocated back to Rwanda from Vancouver, BC. He and his sister’s family showed me the utmost hospitality for the two weeks I stayed with them and I enjoyed helping Lama with the initiatives BBR was working on. Lama took me around to the two communities BBR works in as well as the National University Rwanda (NUR) in the southern town of Butare. We worked to build a connection with NUR students and Canadian students traveling to Rwanda with BBR. 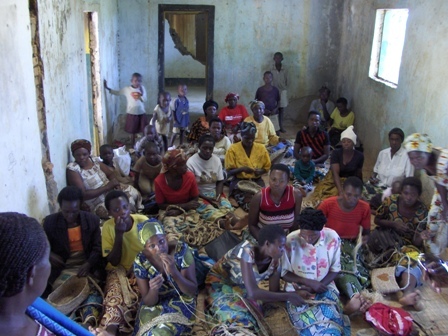 We also worked to strengthen the work done by the COWEGA women’s weaving cooperative in Gashora, Bugesera. These women work to remove the invasive water hyacinth plant that is strangling the watersheds of Rwanda. But it doesn’t stop there. Once the plans are removed, they are dried and the women weave them into amazingly well crafted textiles. Their slogan says it all: Environment + Economics. 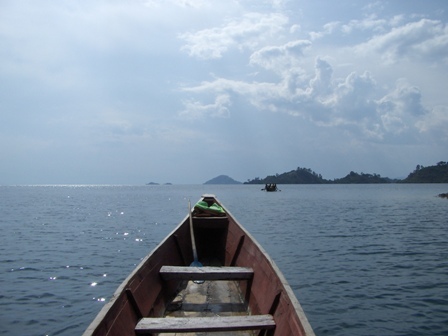 After two weeks of productive work with BBR I decided to take a vacation to the beautiful lake Kivu on the western border of Rwanda. I traveled to the town of Kibuye, a quite coastal town situated between a gorgeous aqua blue lake and contrasting deep green hills and islands. I instantly feel in love with Kibuye and spent the next five days basking in relaxation before heading north for Jinja. It has been quite a long time since I last checked in with my blog, but here we go! The last I wrote here I was investigating a collaborative project between FABIO and the workshop BSPW here in Jinja. While in March this was looking optimistic, by the first of April it became clear that my time would best be spent by focusing on finishing up the Repair and maintenance workshop with FABIO through the end of my FSD internship on May 23. This allowed me to smooth out the wrinkles in my curriculum and establish the structure and target groups so FABIO could continue this valuable program after I have left them…in other word establishing the sustainability of the work. 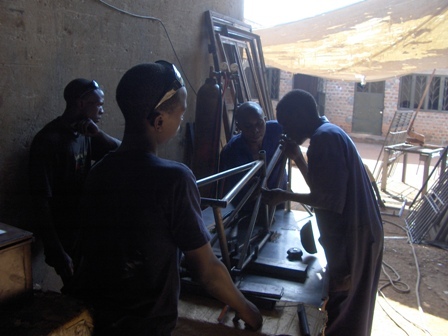 During the month of April we established a workshop with a group of rural teenagers that had purchased bicycles to ease their transportation between home and their places of study just outside Kamuli, 60km north of Jinja. The group were quick and enthusiastic learners and were very appreciative of the skills that were being given to them. They received a tool kit and repair, maintenance, and financial instruction. May proved to be a slow month for FABIO. Our director and administrative officer, were in Germany schmoozing with donors, our program officer was spread between Nairobi and Kampala on work, and we found our funding situation reflected the global economic meltdown. This provided me with ample time to assist with grants and other administrative tasks around FABIO’s office. On May 23rd I completed my internship with FSD and FABIO. 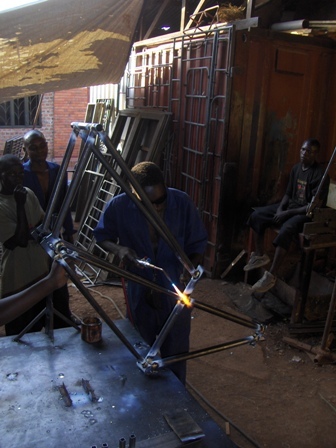 I decided to finish at this time as it is more cost effective to be independent of FSD and it allowed me to pursue the production of Professor Morris’s Hoima Bike design at the Bicycle Sponsorship Project Workshop. 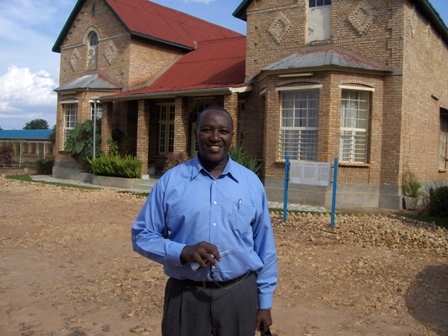 I have remained close to the FABIO staff with plans to offer future support as well as maintained good friendships with the FSD Jinja staff who continue to be a valuable resource to my work and personal learning. 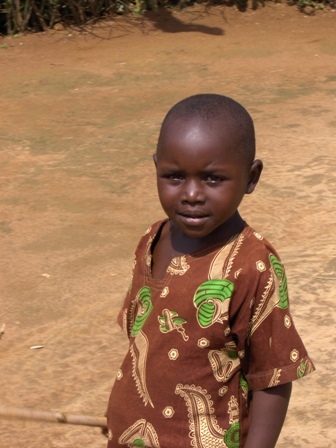 May also found me moving out of the Mutalya’s house in Bugembe, and into a house in Jinja town. While I didn’t like saying goodbye to the family I had become accustomed to, I found it exciting to be in town living in a house with people or similar ages and ambitions to myself. I now live with 7 other people in a large house in central Jinja. We have volunteers from the US, Germany, Canada, and Uganda. The atmosphere is like that of a family and we are never short of good times. I have been visiting the Mutalya’s about once a week for dinner in Bugembe and have enjoyed watching young Henry Benjamin begin to crawl and grow teeth.